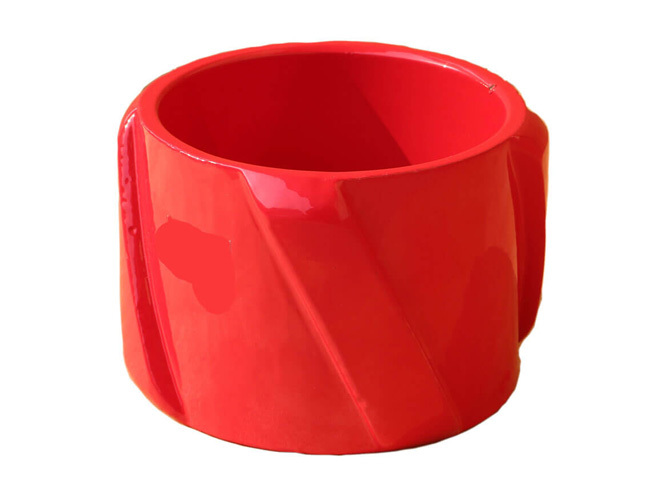 Solid Rigid Centralizer is specially designed to minimize unwanted removal of well cake and to run the casing easily. It is ideal for highly deviated or horizontal wells. In other words, it is absolutely appropriate for Liner Hanger. Solid rigid centralizer is fabricated from supreme quality material steel construction which ensures that extra strength and superior toughness for standoff performance in at affordable price to our customers. These centralizers are made shock resistance and with optimum tensile and yield strength. Both the types of solid rigid centralizer are available here: ‘Straight Blade' and‘Spiral'. By running on the casing OD, they are used to centralize the casing. This casing is to be cemented in the wellbore. This also improves the bonding of cement in the casing. These centralizers are designed in such a way that it reduces the amount of friction created between hole and the casing. This allows the casing to be inserted into the wellbore more easily. Thus, preventing the string of the casing to be stuck. These centralizers are perfectly tested and are appreciated for their quality standoff and usage before they are dispatched.